Are you a fan of almond butter? I am proud to announce that I tried almond butter for the first time and definitely pleased – Not only did I try it, but I also made a batch at home for my first taste test. The process was more straightforward than expected and I was successful. I could not believe how affordable, easy, and tasty this 3-ingredient Honey Almond Butter was. 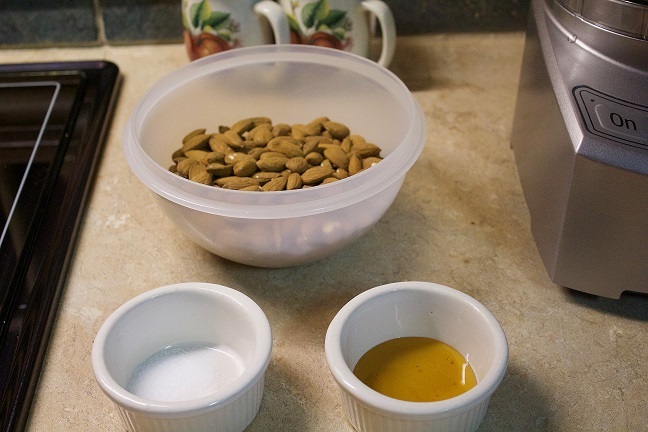 Place almonds, salt, and honey into a blender. I intended to use a blender, but it encountered some last minute difficulties and opted for my food processor instead. Note: This entire process took about 30 minutes to get completely smooth almond butter because my food processor does not have speed settings like a blender. 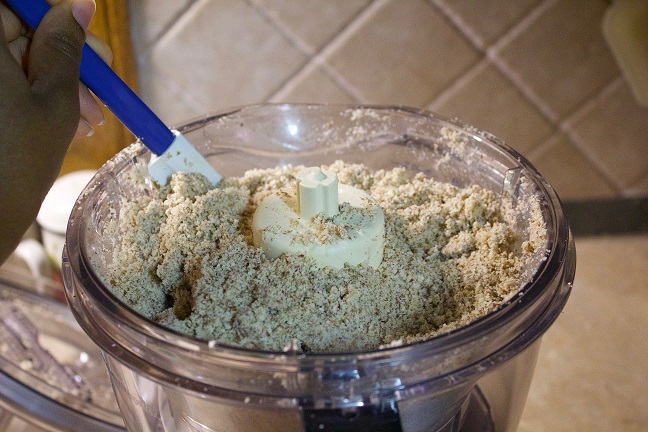 Use a blender, as directed for a quicker process, but if you do use a food processor, just be patient! 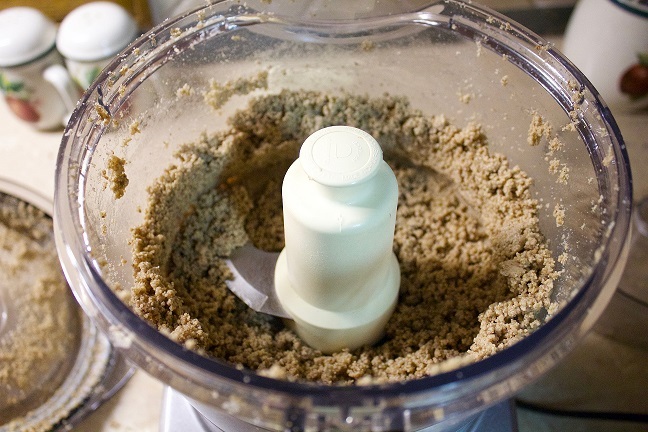 Starting on lowest speed, blend mixture until coarsely chopped, about 30 seconds to 1 minute. At this point, I thought it might be necessary to add just a bit of oil to speed up the process in case my almonds actually didn’t turn into butter…Don’t worry, added oil isn’t necessary. Increase speed and blend about 1 to 2 minutes more until smooth paste forms, scraping down sides as needed. Scraping down the sides during mixing is an important step. Since I used the food processor, I had to stop and do this about 4 times before the almonds started to crumble as shown in the picture above (about 15 minutes in). 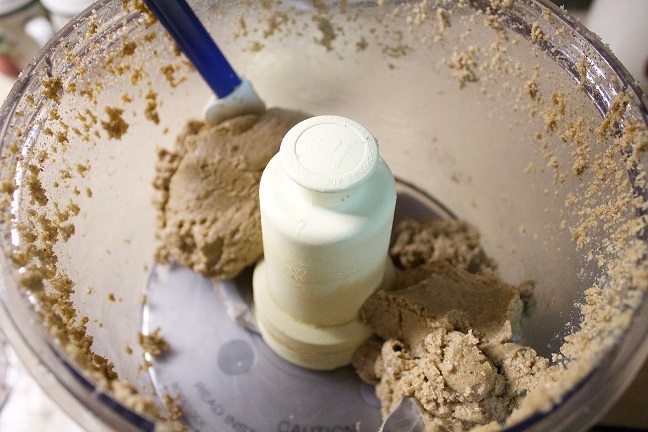 If you prefer a smoother, runnier almond butter, blend for an additional 1 to 2 minutes on high. I thought about giving up but, FINALLY! Even though the process was much longer for me, I am satisfied with the final product. 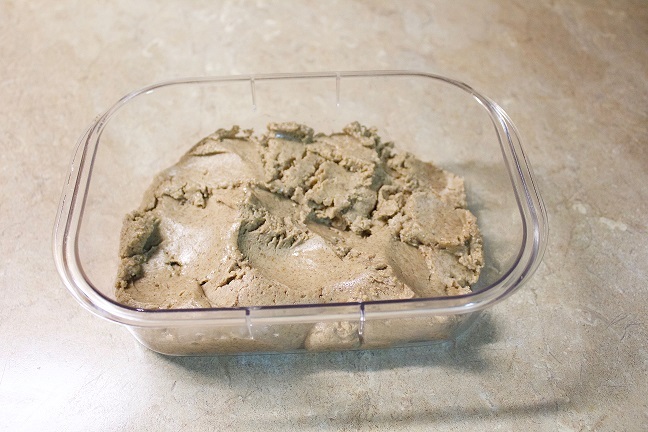 Using a spatula, scoop almond butter into an airtight plastic container and keep refrigerated for up to 4 weeks. I have about 2 cups of almond butter now! The consistency is thicker than what I thought (not like my typical jar of peanut butter) because no oil was added. 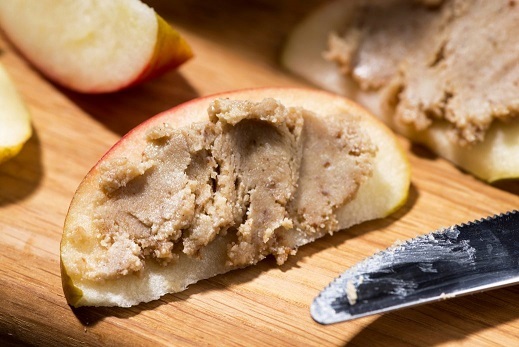 The almond butter is still soft and easily spreadable.